The aerial combat training is part of the exercise DACT. It marks the final stage for the Finnish Air Force students before moving on Hornet fighter jets. The young Finnish Hawk pilots practice to fight against Hornets. During the third week of March the Hawk advanced jet trainers of Finnish Air Force Academy's Fighter Squadron 41 have conducted Dissimilar Air Combat Training (DACT) with F/A-18 Multi-Role fighters at Tikkakoski Air Base. 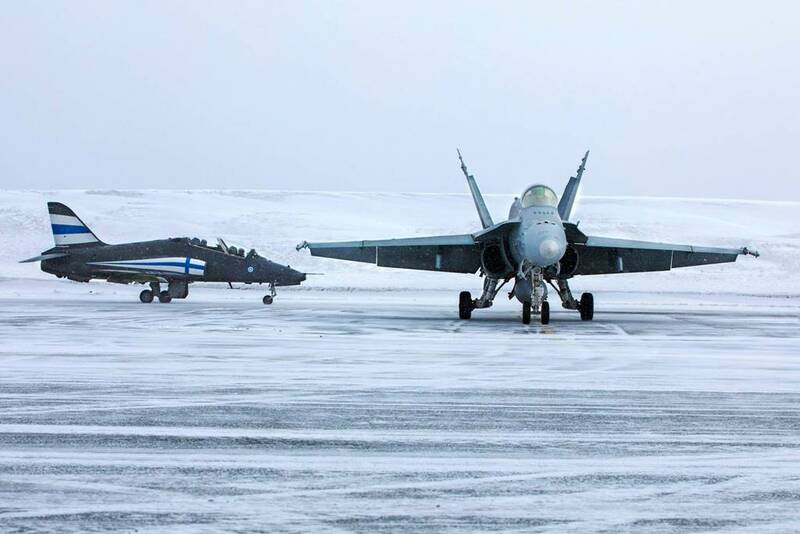 According to Major Teemu Pöysti, the Commander of FSQN 41, the March DACT training involves student pilots that are about to complete their training on the Hawk jet trainers and transfer to F/A-18 Hornet. The aim of the DACT training is to prepare future combat pilots to encounters with different types of aircraft in combat using the advantages of their own aircraft to succesfully counter the threat posed by the adversary. According to Maj Pöysti, properly planned DACT training between Hawk and Hornet aircraft can provide a challenging setup to both the pilot of the jet trainer and the state-of-the art multi-role fighter. "A Hawk pilot can hold his own in DACT training with a combination of skill and knowledge. You won't be able to beat the F/A-18 in performance but there are advantages that the Hawk has over it in certain types of combat. DACT training can also be very challenging to an F/A-18 pilot. For instance a scenario of two Hawks meeting a single Hornet in air combat poses a real challenge to everyone taking part in it".